Always awkward and more protracted than I would like! But this is the beginning of a full year of sabbatical - I won't be teaching again till September 2017 - and once I get into a groove, it should be pretty idyllic. I'll be based mostly in NYC with frequent trips to Cayman, but I have two really exciting additional places to be. I'll spend the Michaelmas term (early October through early December) as an Oliver Smithies visiting lecturer at Balliol College, Oxford (I'll be working on the literary history of the footnote with special emphasis on Gibbon and history-writing). “It was at Rome, on the fifteenth of October 1764,” wrote Edward Gibbon in a draft of his memoirs, “as I sat musing amidst the ruins of the Capitol, while the barefooted friars were singing vespers in the temple of Jupiter, that the idea of writing the decline and fall of the City first started to my mind.” Gibbon’s Decline and Fall of the Roman Empire would expand to treat the long history of the empire as it migrated east, not just the history of the city in which the empire had its origin, and his research took place in libraries, cabinets of medals and so forth in London, Paris, Lausanne and Geneva as well as in the streets of Rome. But the physical landscape of Rome as Gibbon first encountered it in the 1760s provided much of the emotional impetus for the project, and the city figures in the history in a number of different ways. 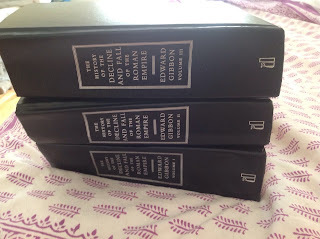 In “Gibbon’s Rome,” I am proposing a long essay or a short book (probably in the region of 40,000 words) that tells the story of what Gibbon saw in Rome and what it meant to him. I am envisioning a narrative not oriented exclusively towards scholarly readers but written more in the style of something like Mary Beard’s SPQR: A History of Ancient Rome; another model, in a rather different vein, is Geoff Dyer’s Out of Sheer Rage: Wrestling with D. H. Lawrence. The narrative will weave together a number of different strands with the goal of producing a lively narrative history with a literary-critical bent: recounting the series of choices and accidents that led Gibbon to Rome as a place and a topic; reading important passages from some of the works of history that were formative for Gibbon (this is a book about Gibbon’s reading as well as about Gibbon as tourist!) in earlier years and that contributed to the research techniques and evidentiary protocols that underpin Decline and Fall; considering the rise of the Grand Tour as a mode of self-cultivation and development for wealthy young British men over the first half of the eighteenth century; vividly describing the streets and buildings Gibbon walked through, the state they were in during this period and the kinds of collections of artifacts he was able to visit and examine; and of course analyzing and celebrating the language of Decline and Fall. I will draw on visual and journalistic records made by other visitors during the same period in order to bring the setting most powerfully to life. My goal in this project is not just to recount the history of one historian’s relationship with one city, though that will occupy a good deal of my attention, but also to use the story of Gibbon’s encounter with Rome as a case study that gives us more general insight into how eighteenth-century writers came to understand the relationship between past and present and the tools for narrating and comprehending historical change. The context in which I developed this project involves a longstanding interest in the battle of ancients and moderns as it was worked out in Britain by combative writers like the textual editor Richard Bentley, Jonathan Swift and Alexander Pope, and my large-scale research project for the next few years will be to do the groundwork for an ambitious literary history of the footnote in the long eighteenth century. My interest in the footnote really derives from the fact that, as the scholar Evelyn Tribble has observed in an essay on the history of the transition from marginal annotation to footnotes, the shape of the page often becomes “more than usually visible” at periods when “paradigms for receiving the past are under stress”: “In the early modern period, as models of annotation move from marginal glosses to footnotes, the note becomes the battlefield upon which competing notions of the relationship of authority and tradition, past and present, are fought” (“‘Like a Looking-Glas in the Frame’: From the Marginal Note to the Footnote,” in The Margins of the Text, ed. D. C. Greetham [Ann Arbor: The University of Michigan Press, 1997], 229-244). Gibbon will feature in a chapter of that projected monograph, with the tension between the evidentiary impulse of the notes to the Decline and Fall and their fundamentally skeptical or ironic orientation towards the main narrative providing a starting point for a closer investigation of the footnote in British and French history-writing during this period. But I feel that there’s enough material, in the question of what Gibbon’s monumental history tells us about his own and his contemporaries’ understanding of the relationship between past and present as we comprehend it by way not just of books but by movement through ruins and landscapes and by interaction with historical artifacts, that I’ve made a commitment to pursue this smaller-scale project as a complement to the bigger one. Six weeks at the American Academy in Rome would provide the ideal setting for some physical exploration of sites and museums alongside time in the library reading some of the narrative histories from which Gibbon took his inspiration as well as modern scholarship on the history of archeology and antiquities in Italy, museums and other viewing sites, other eighteenth- and nineteenth-century British visitors’ accounts of their relationship to the city, practices of historical restoration or reconstruction and so forth. 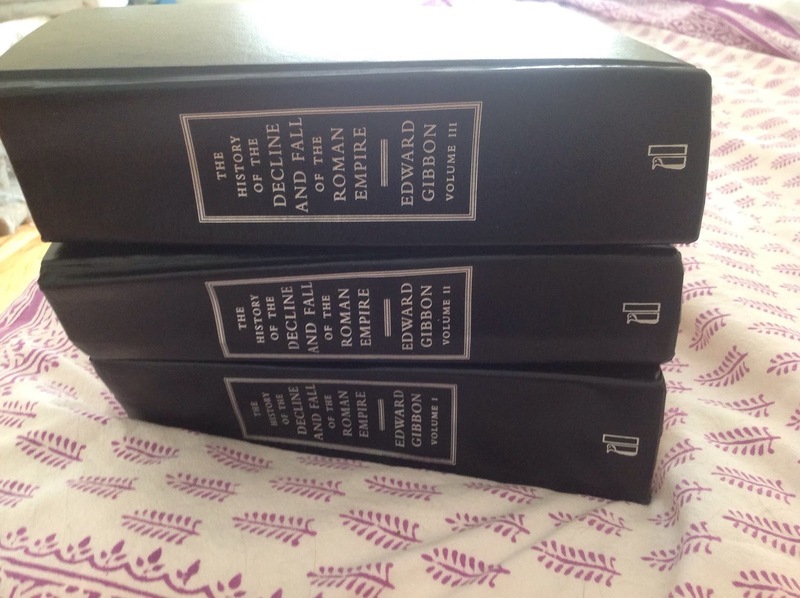 An initial list of authors and books of particular interest to me would include Cicero, Livy’s histories, Erasmus’s Ciceronianus and the associated debate on Latin style, Bayle, Voltaire, Bossuet, le Sueur, de la Bléterie’s Life of Julian and Guischardt’s Mémoires critiques et historiques sur plusieurs points d'antiquités militaires. I would especially love to look closely through the collection of historical maps in the Rare Book Room; serendipity has a large role to play in this sort of project, and there will be no substitute for being physically on-site as I embark upon this research.